Professor Nikos Kotzias was nominated as the new Foreign Minister of Greece in the Cabinet of Prime Minister Alexis Tsipras and he has already received severe criticism, for what is politely described by The Economist as "cordial relations" with the religious-nationalist segment of the Russian elite. After a rather moderate career as an expert-diplomat in the Ministry of Foreign Affairs, Kotzias emerged as a prominent figure in the greek public sphere over the last years, when he supported some of the most populist explanations of the greek crisis. In Kotzias' worldview, modern Germany should be blamed almost for everything. In fact, Kotzias regards the Eurozone crisis just as a Berlin-motivated plan to transform countries like Greece into modern German protectorates. The title of his last book is more than clear: Greece, a Debt Colony – European Empire and German primacy. 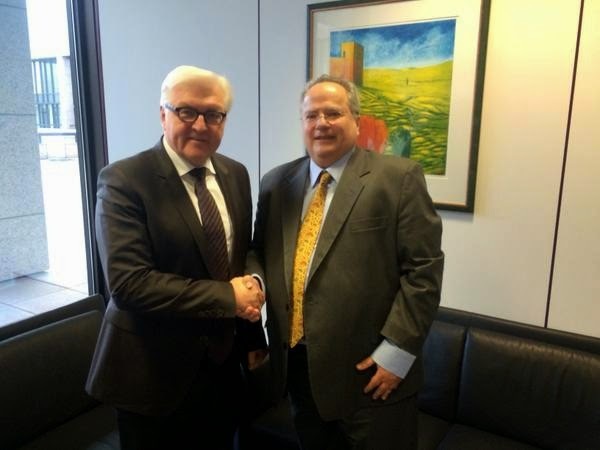 The problem in Kotzias' case is that he has crossed the line more than once and has pointed out some analogies between Nazi Germany and modern Germany of Angela Merkel. This has offered him some recognition among far-right parties and opinion-makers in Greece.